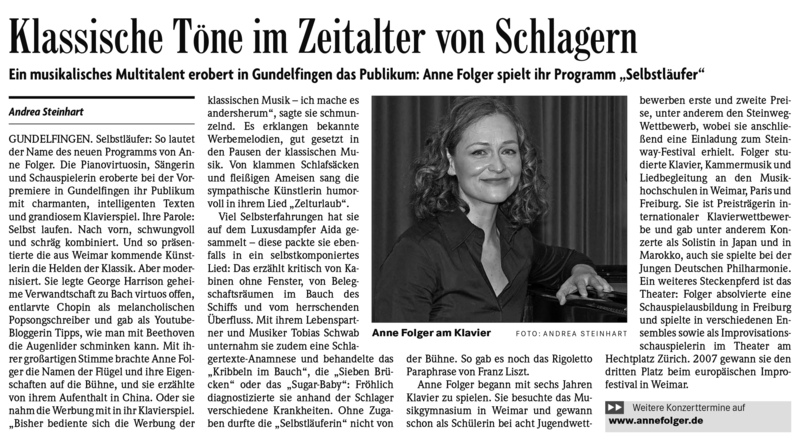 "Der Läufer" ("The runner") is an original composition by me mixed with a taste of Chopin. 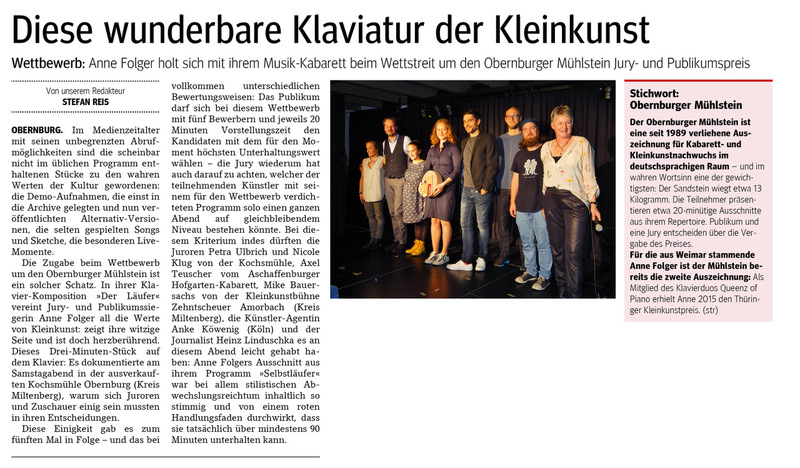 Thanks again to Nena Wagner for her great commitment. 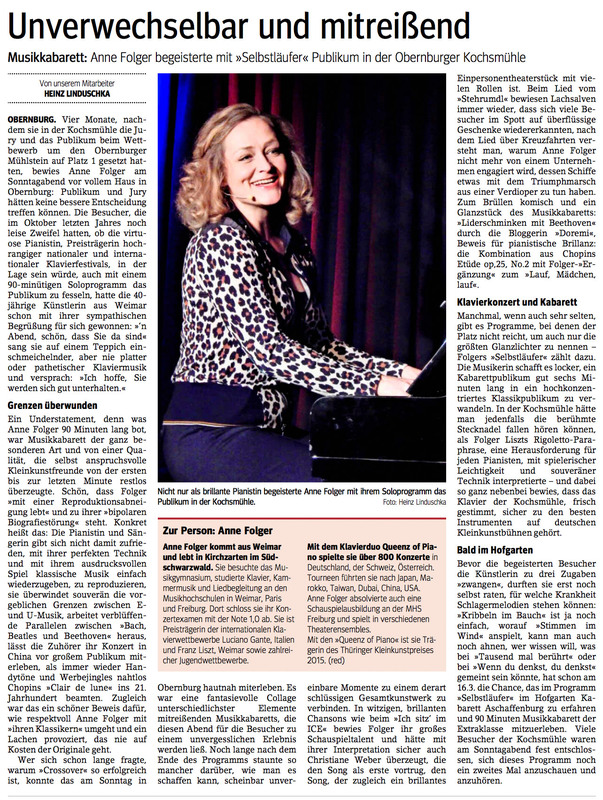 My tour started with lots of fun and the press reactions sound quite promising! 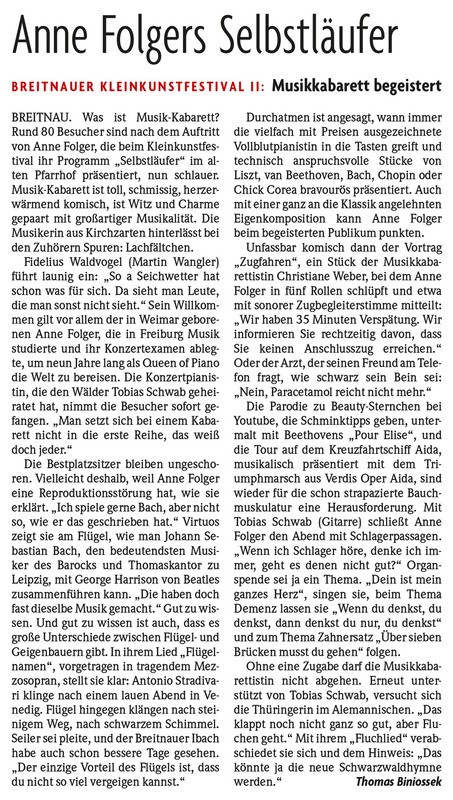 Here you can read some of the press reviews. Watchword? Run by yourself! Fast forward, with drive and a little weird. 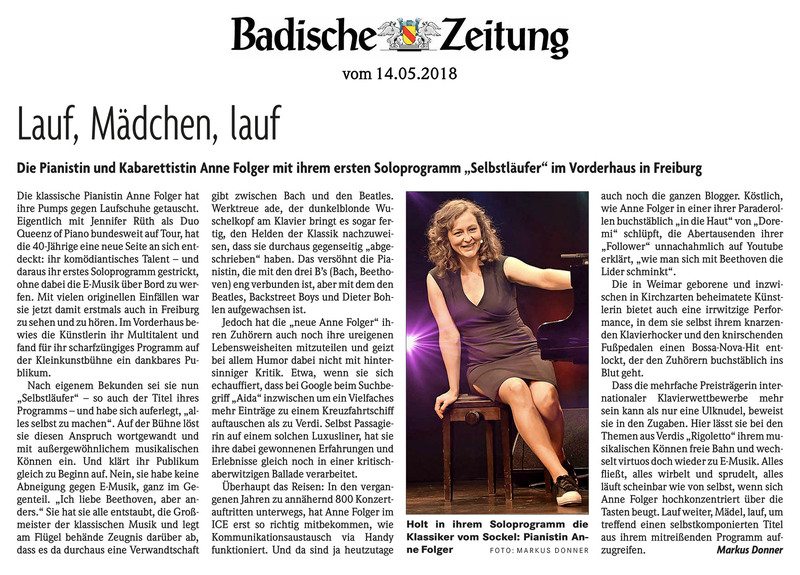 she tells us about Verdi’s protest against Aida, the cruise line giant; about lyrics in German Schlager-music with hidden messages about diseases; and she tells us about train rides with bad mobile reception. All that with a delicate power of observation and wrapped in humour. And not with that dull stagelight and hideous, twined ivy at the front of the stage. She rather performs with a loop-station and original compositions. Just like in real life. 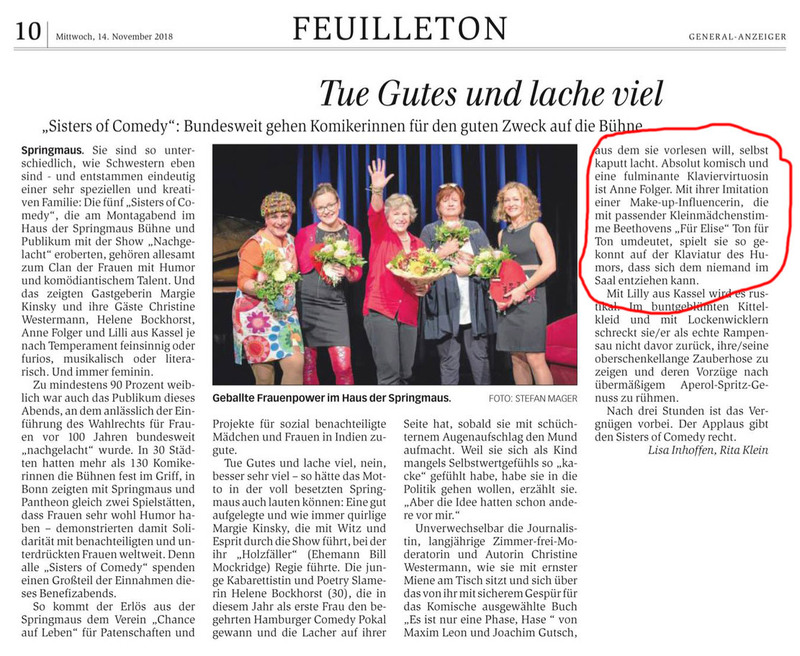 Urtext ad libidum. 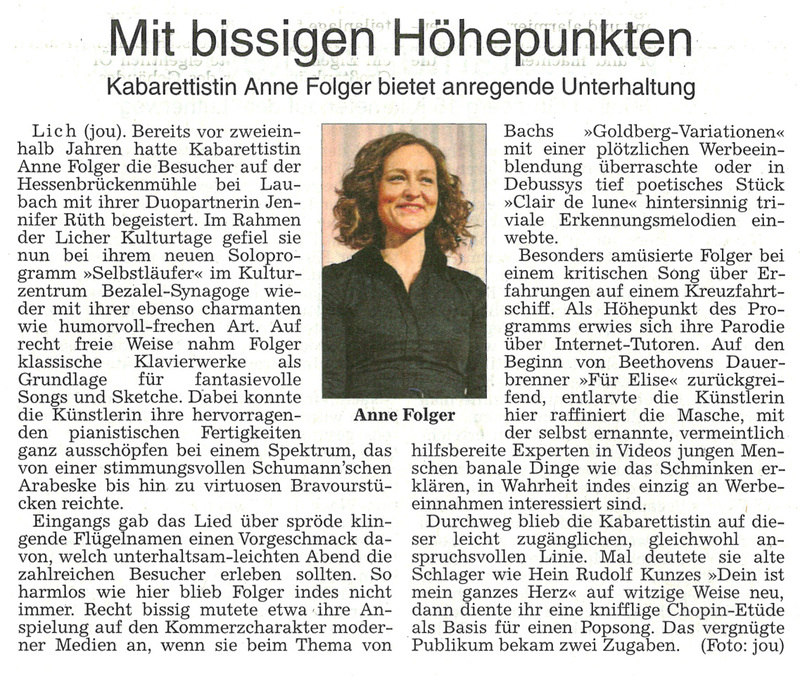 Anne Folger comes from Weimar and is living in Kirchzarten/Black Forest. 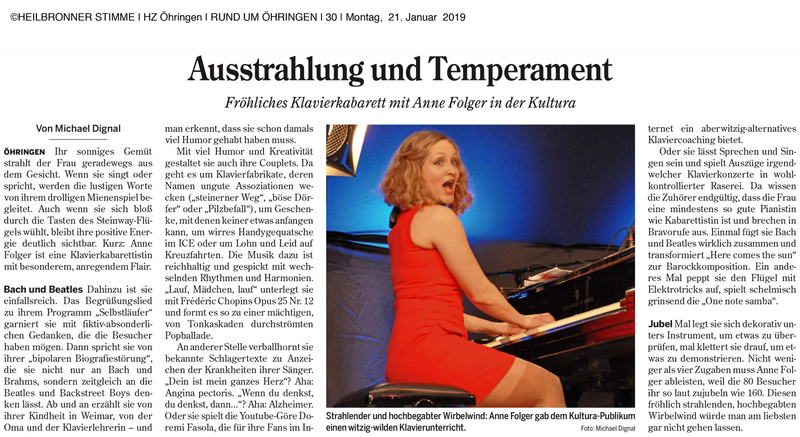 She went to music-highschool, studied piano, chamber music and song-accompaniment at conservatorys in Weimar, Paris and Freiburg, where she did her excellent graduate recital. 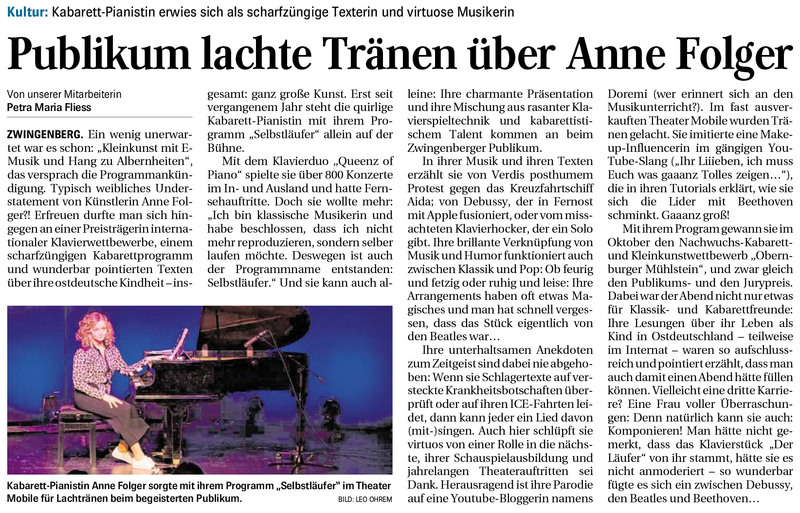 She is awardee of international piano competitions „Luciano Gante“, Italy, „Franz Liszt“, Weimar and numerous youth competitions. 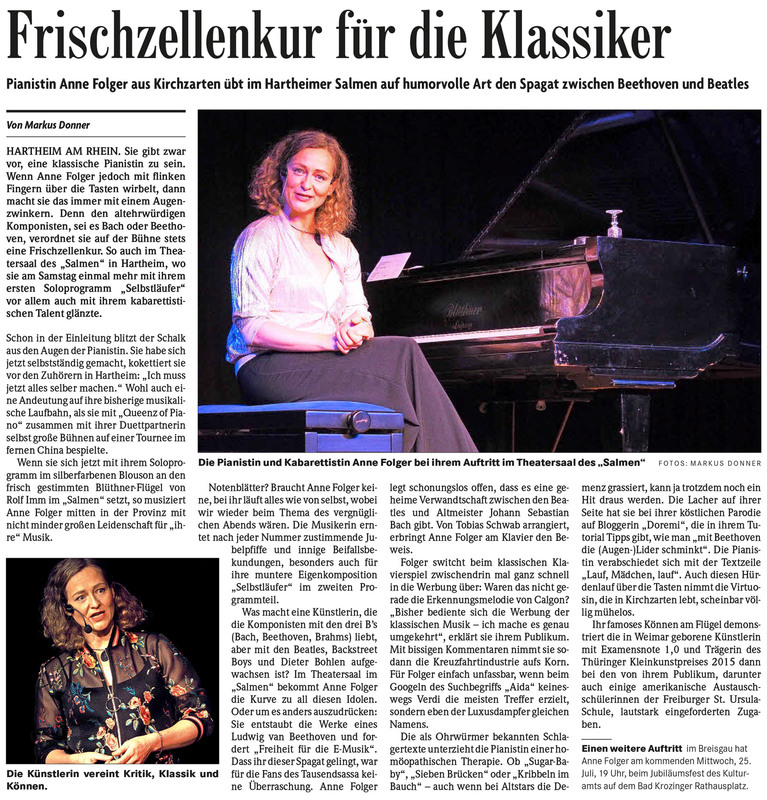 Anne passed acting classes at the MHS Freiburg. She played in several theatre companies. She played numerous shows as an improvisational actress with several impro- and theatresports-ensembles.